Put some rocket fuel into your existing digital campaigns by hiring the pros to handle your pay per click advertising management. Whether it is search ads on Google Adwords or “disruption ads” on Facebook, many advertisers opt for a model of digital advertising known as pay per click, or PPC. This is where you only pay when a user actually clicks on your ad and is then driven to your website or landing page. This is a form of performance-based advertising but a lot goes into what the ad platform charges you for each click. Primarily, that PPC is backed into by the ad platform measuring the effectiveness of your ad. They do this by taking the number of impressions the ad has to show in order to get each click. This click-through rate is a big factor in what your cost per click ends up being. There’s also your ad quality. This pertains to the effectiveness of your messaging in relation to how targeted your audience is. If you are selling piano tuning services in Topeka, KS and your ad gets clicked on by the exact right audience searching for the exact match keyword phrase, and they get to your landing page which has that exact same content on it, the your ad quality score is likely going to be very high and you’ll be rewarded with cheaper clicks. Having your ads and ideal keywords perfectly crafted to work together in harmony is where the pros come in and why you need to hire a professional pay per click ad management firm like Snap Digital Marketing. Why Hire Snap To Manage Your Pay Per Click Advertising? 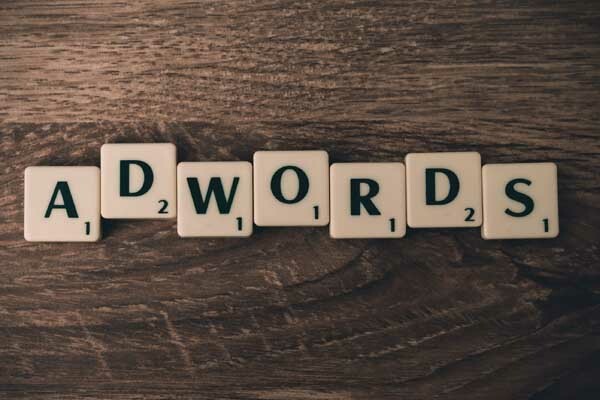 Many small businesses (and also some large businesses) assume its easy to throw some advertising ideas together and launch a PPC campaign on a platform like Adwords. This could not be further from the truth, or at minimum, they will quickly be losing money and chalk it up as a loss. There are many highly technical and critical components to building, managing, and optimizing the perfect pay per click advertising campaign and you are much better off hiring a skilled PPC company than trying to learn everything yourself. Keywords are phrases your ideal prospects are searching on Google. These phrases usually consist of the products and services you offer. If you are in the business of repairing furnaces in Grand Rapids, Michigan then you probably want to be found on Google when prospects search a keyword phrase like, “furnace repair grand rapids”. Identifying those top keyword phrases can be tricky. Google Adwords has a “suggestion tool” but be warned: Blindly adding most of those will simply eat up your budget and leave you with nothing to show for it. The reason is, many of those suggested keyword phrases are “broad match” phrases. This means that any word in the phrase can trigger your ad to show, often resulting in the wrong people seeing your ad and clicking on it (which then costs you money). There is a science behind choosing the ideal keyword phrases for your PPC campaign, usually employing a balanced attack of “phrase matched” keywords and dynamic keyword phrases. This allows you to be specific with your targeting but also let Google fill in some blanks where its ok to do so. Now this may be starting to sound like a foreign language because it does get technical. That’s why it is best to contact a marketing and advertising company like Snap Marketing of Holland, MI. Pay per click ads work by Google matching users who are searching specific keyword phrases with your predetermined keyword phrases and ads loaded into your campaign. So if a user is searching for “new car deals in holland” and you are a car dealer advertising with one of your keyword phrases in Adwords being, “new car deals” and you are located in or near Holland, MI then there’s a great chance your ad will appear at the top of Google search results (and hopefully be clicked on). But there’s another layer of complexity in this equation: Your competitors. Google Adwords works on a bidding platform behind the scenes where multiple (usually many) companies who sell the same products and services are fighting to out-bid each other by paying more for your click. In some industries, this gets very expensive and the clicks can be $10, $20, or even $50 each. Yes, $50 just to drive a single visitor to their site. Now granted in those fields like personal injury attorneys and estate planning, those advertisers stand to earn a lot off of just one new client, but the process is the same. The more advertisers stand to win from earning a new client converted through their website, the more they are willing to bid for a click. This is where the smartest thing to do is to outsource your PPC ad management to a firm that is professionally qualified to give the best strategy for tackling this aspect of the business. What is included if I hire Snap to handle my Google Ad Words Management? By hiring a professional Google Adwords Management Company, you get a full-service, turn-key experience for lead generation. If you’ve got an existing campaign, great. We can take it over, optimize it, and get you more leads and for cheaper. If you’re just starting out, that’s fine, too. We would start by having a strategy session where we identify your goals and design a customized plan for your business. It is likely we have already designed a successful campaign in the past for your type of business, or in some cases, even have a fully-built sales funnel and lead generation that we can simply plug you into in which case you’d be able to start getting live leads right away. Our PPC management packages include the strategy session, campaign design, setup, launch, and also conversion tracking and ongoing optimization. We constantly test and re-test new ad variations and new keyword to make your campaign ever-cheaper and more targeted to produce the very best leads. No matter what types of advertising you’re looking to do. Snap Digital Marketing has the PPC experts to craft the perfect digital strategy to help grow your business. Give your business the needed boost it deserves by consulting with the best of professional Pay Per Click Advertising Management team and let our work speak for itself.